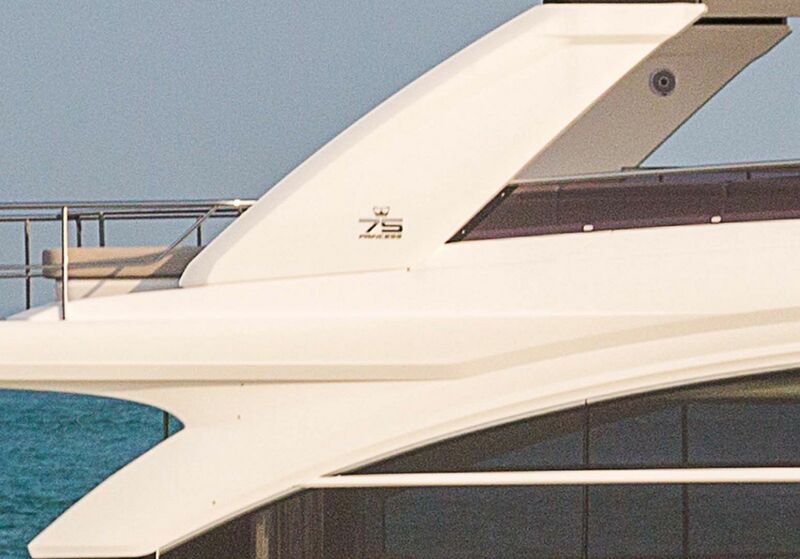 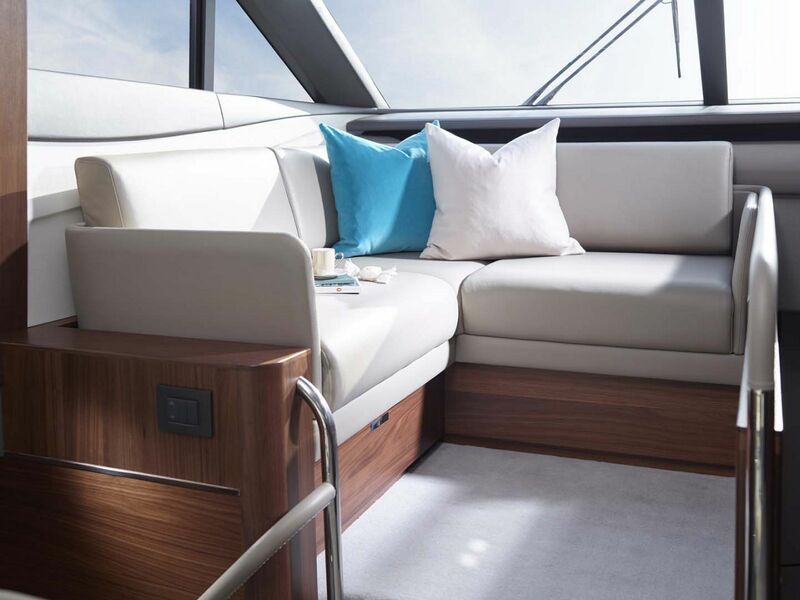 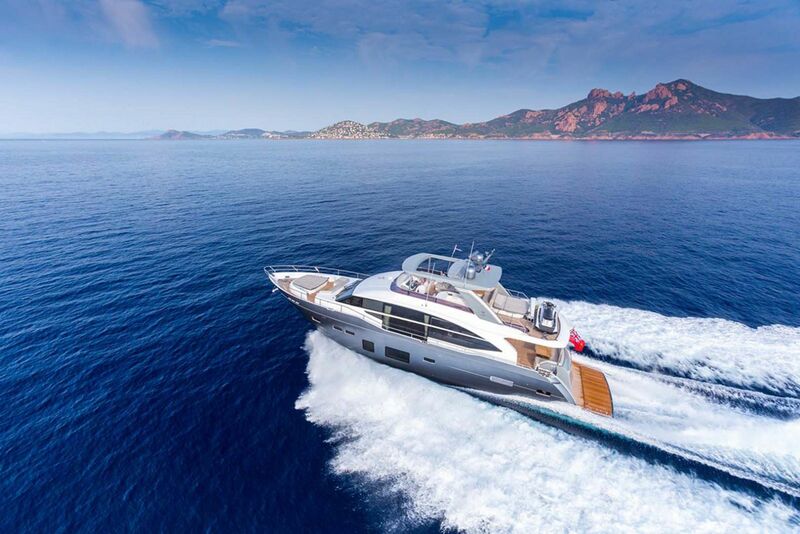 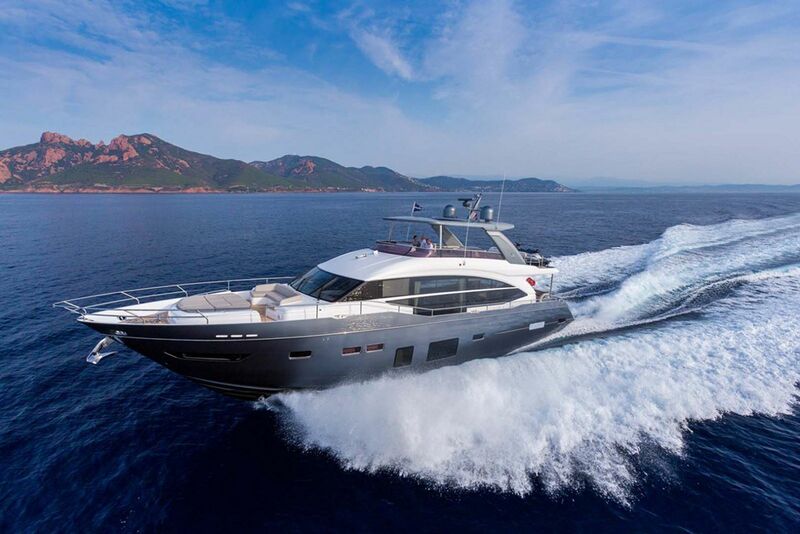 Heralded as the top motor yacht in the “Flybridges Over 55’” category by Motor Boat & Yachting Magazine, the Princess Yachts Y75 is one of the most intriguing new yachts designed by the Plymouth-based factory in recent years. 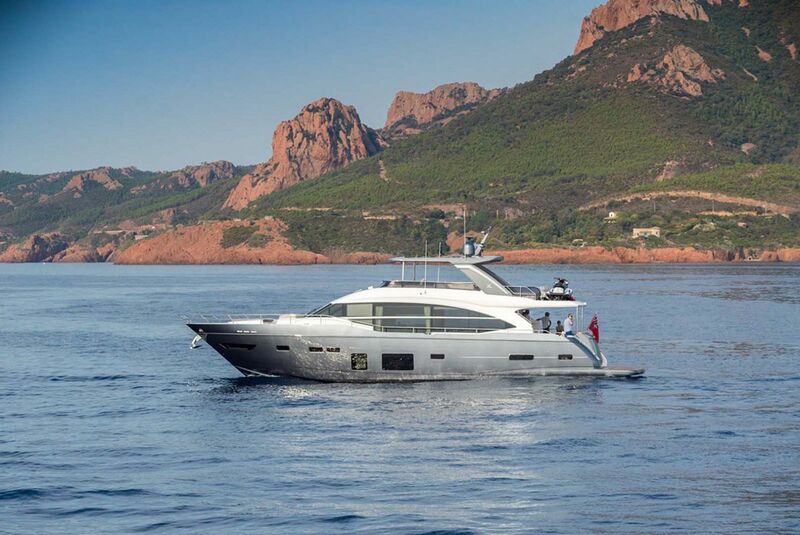 The Y75 was designed with the long-range cruising enthusiast in mind and combines the comfort, elegance, and performance needed for such journeys. 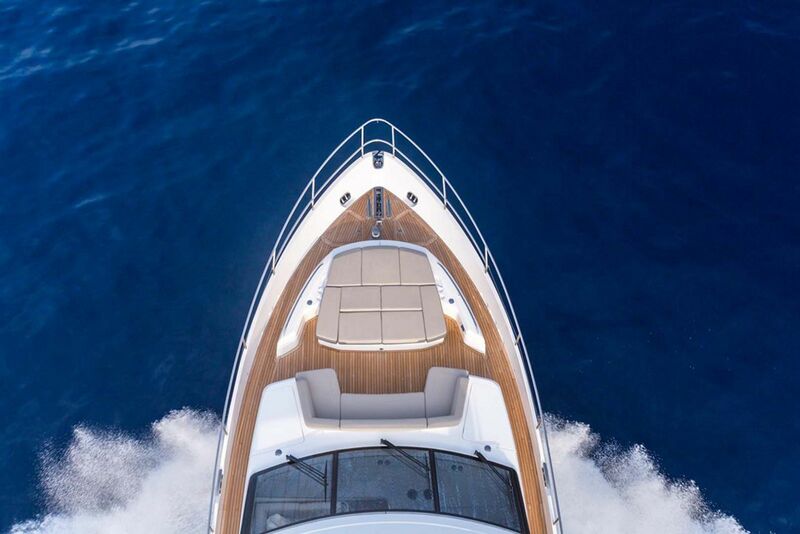 The deep-V hull’s special design allows the 75MY to plane at lower speeds reducing the heave that guests on board feel when accelerating so the ride is consistently smooth and enjoyable. 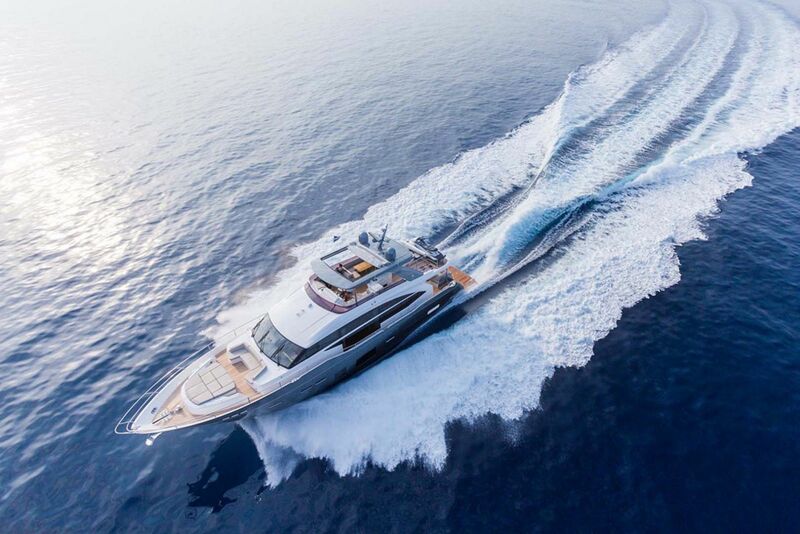 From the resin-infused hull to the special carpentry completed in the factory’s own wood shop, the quality control for each Princess is unprecedented making it one of the most reliable yachts in its class. 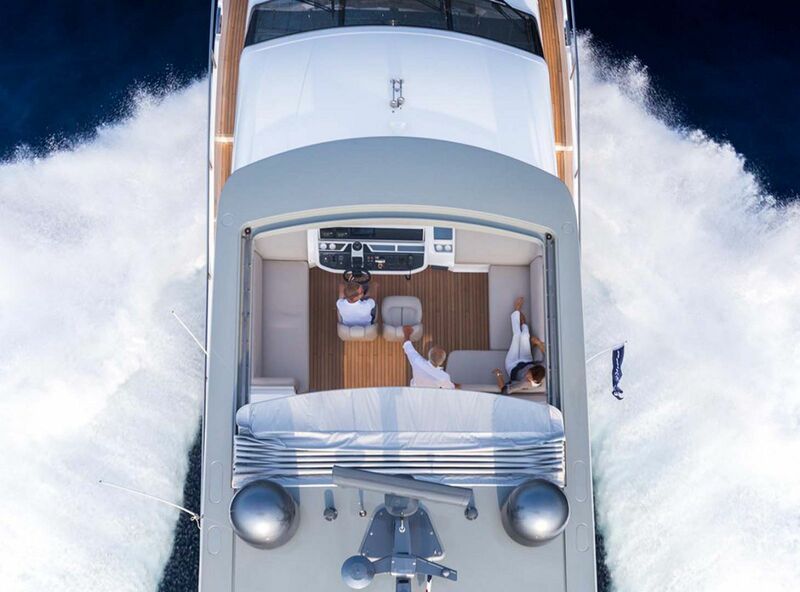 Entering the 75MY through the transom 13’ x 7’ hydraulic swim platform that gently lowers into the water, it almost feels like an exclusive beach club with the teak bench-style seats. 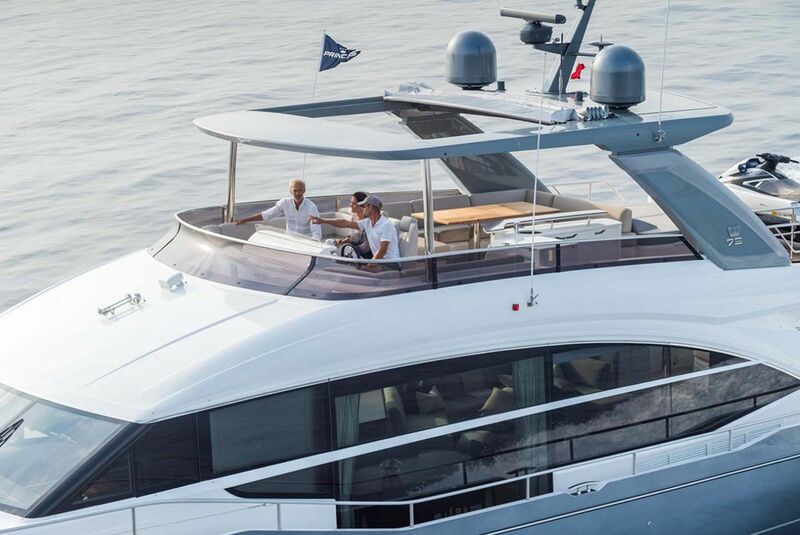 And while the tender on board has a place on top of the flybridge, it can also rest on the swim platform for easy launching. 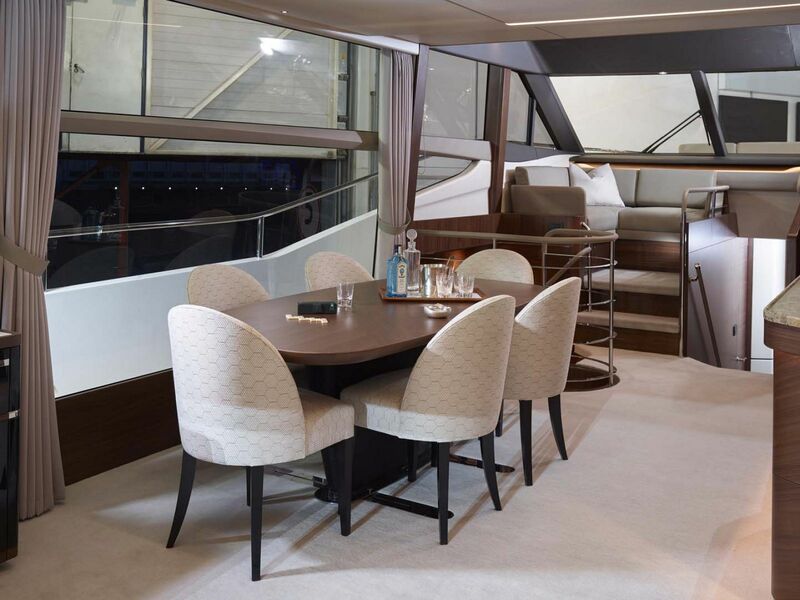 Two sets of stairs opposite each other lead you to the aft cockpit which is a wonderful place to sit and enjoy the view and a cocktail. 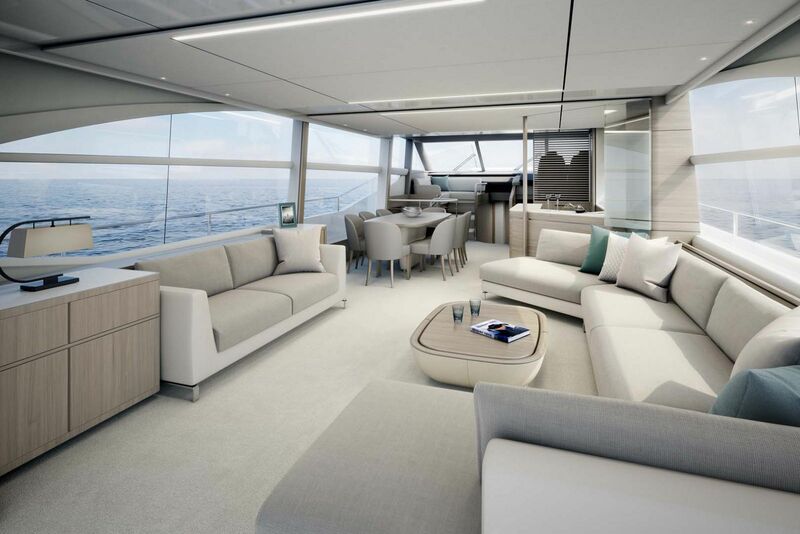 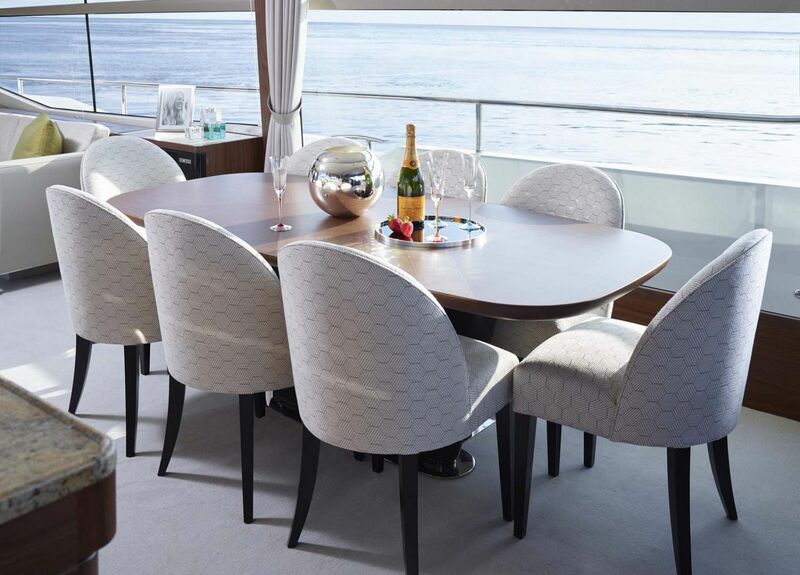 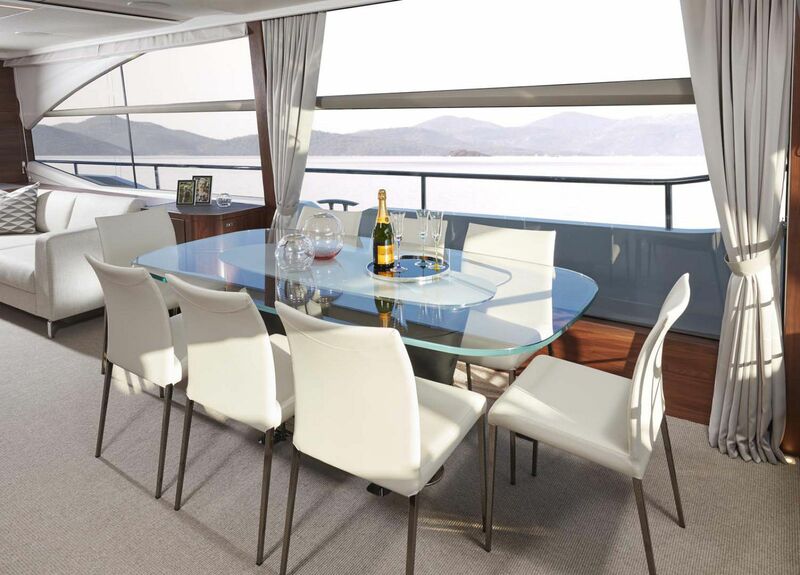 The U-shaped seats and dinette table face the salon with two additional chairs facing aft and an a space for serving drinks on the starboard side. 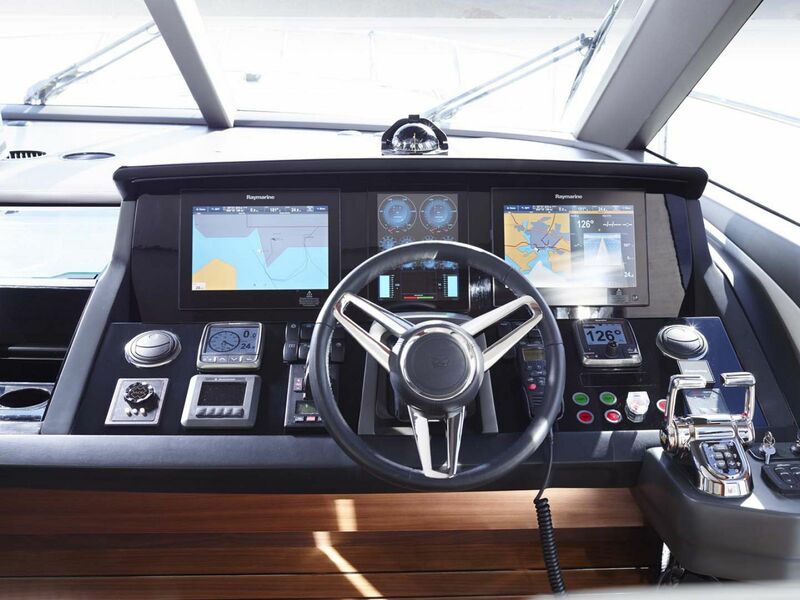 There is also a very convenient control station in the aft cockpit for docking purposes. 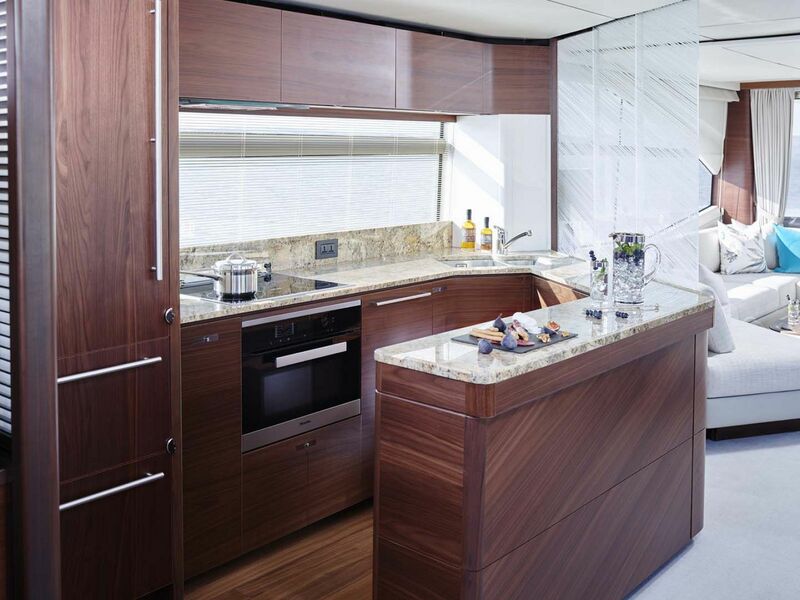 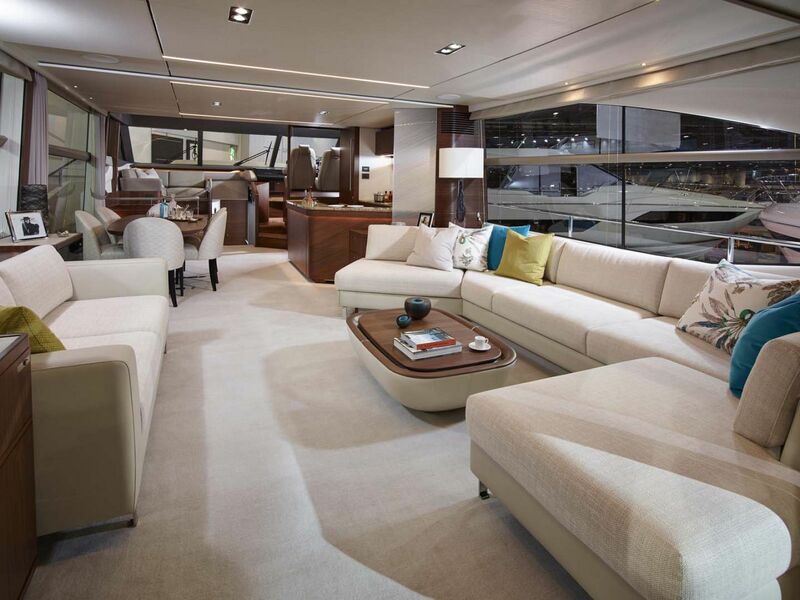 The salon on the 75 Motor Yacht is as impressive as any of the interiors of the larger Princess Yachts. 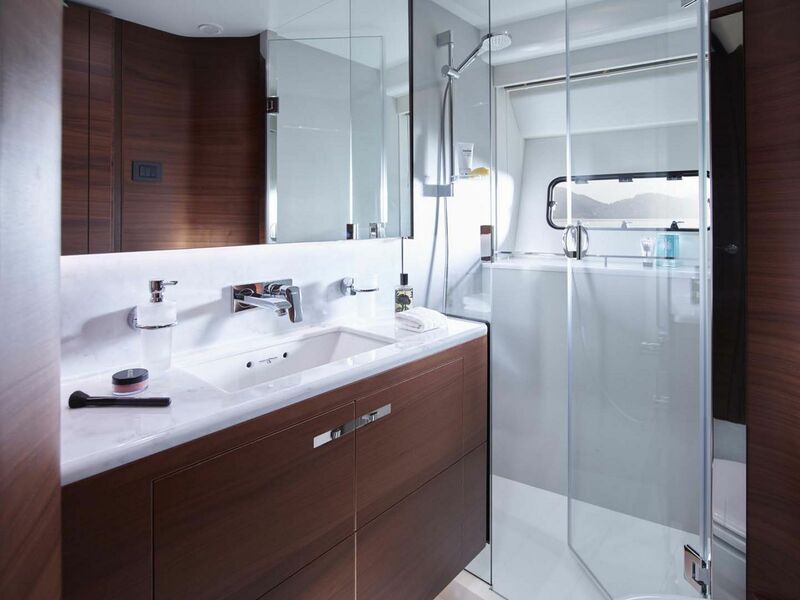 The extra space provided by the strength of the resin-infused hull as well as the 18’ 11” beam gives the interior areas a light, open feeling. 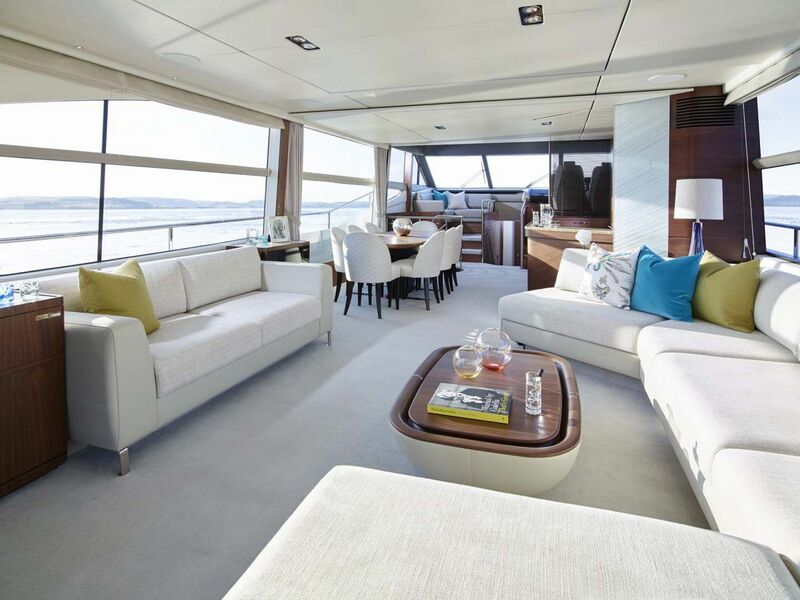 The entire salon and dining areas are surrounded by large windows from sole to ceiling that light up the rooms and shine against the high-gloss walnut finish. The interior is an open concept with the seating in the salon, the formal dining area that comfortably seats eight guests, and the galley all combined on the main level. 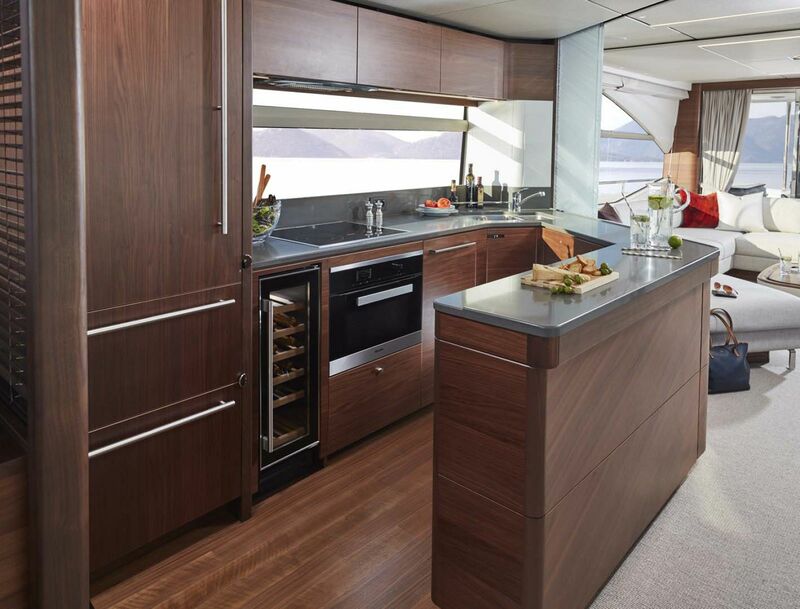 There is plenty of storage in the salon and dining area so that the galley can focus on extra refrigeration and cooking features. 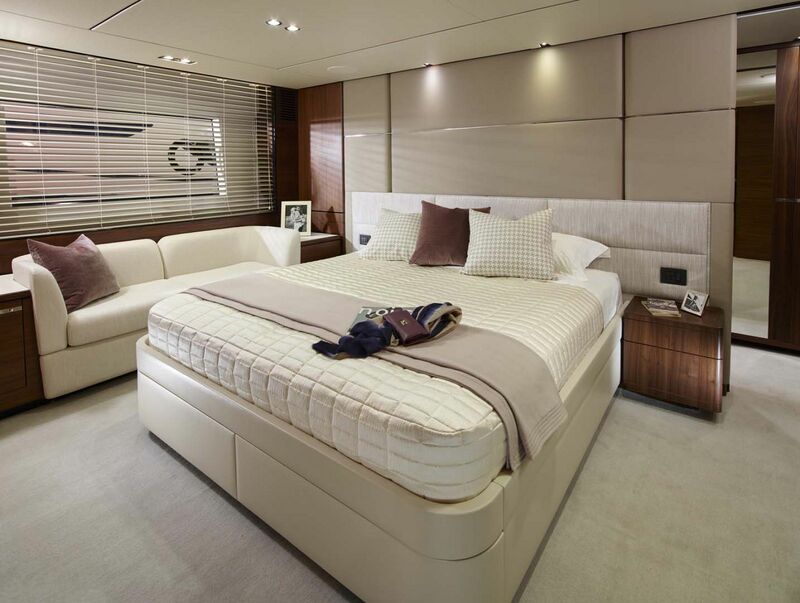 A separate staircase in the salon leads to the owner’s master stateroom that is placed amidships, a feature more commonly seen on much larger mega yachts. 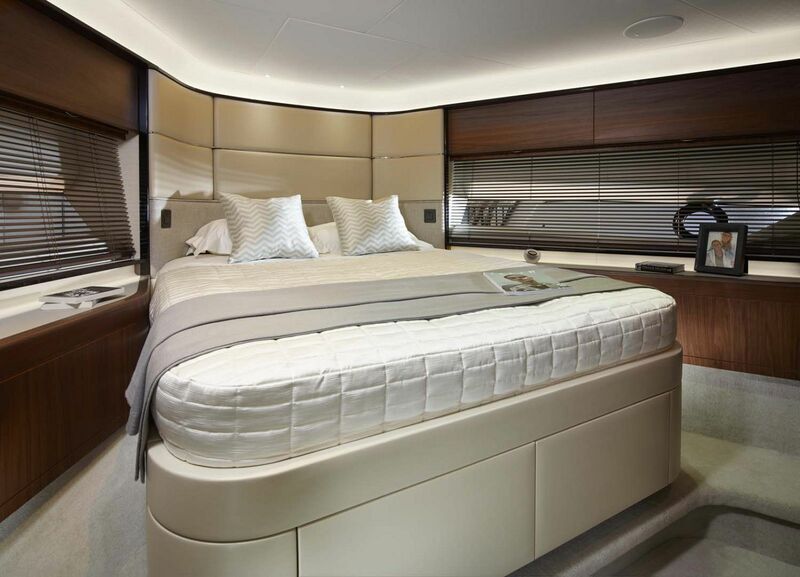 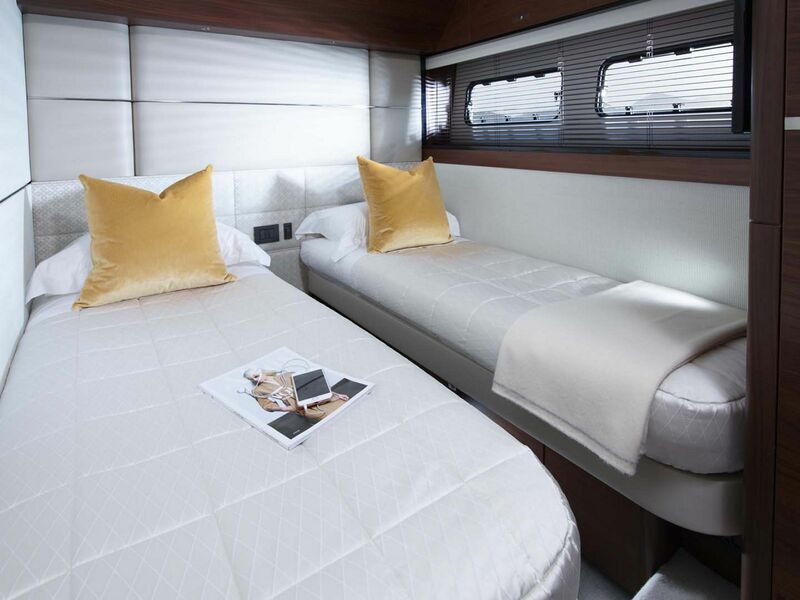 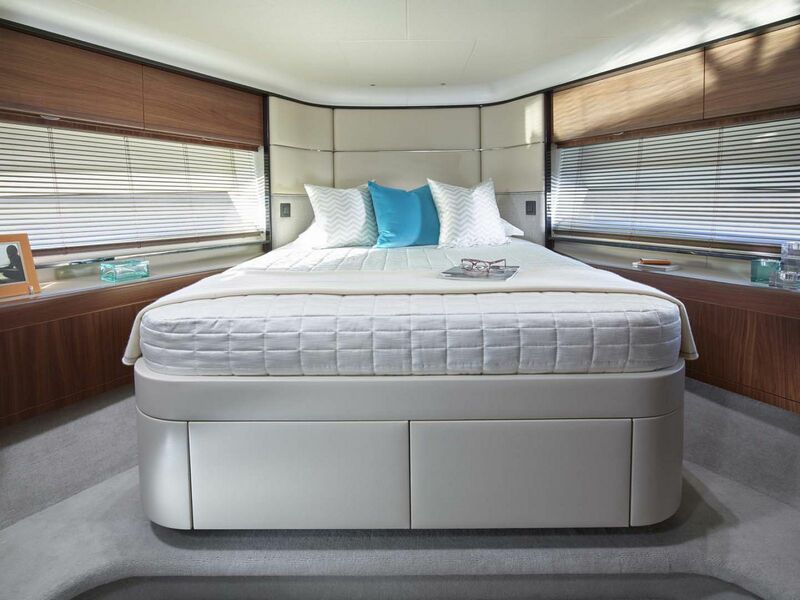 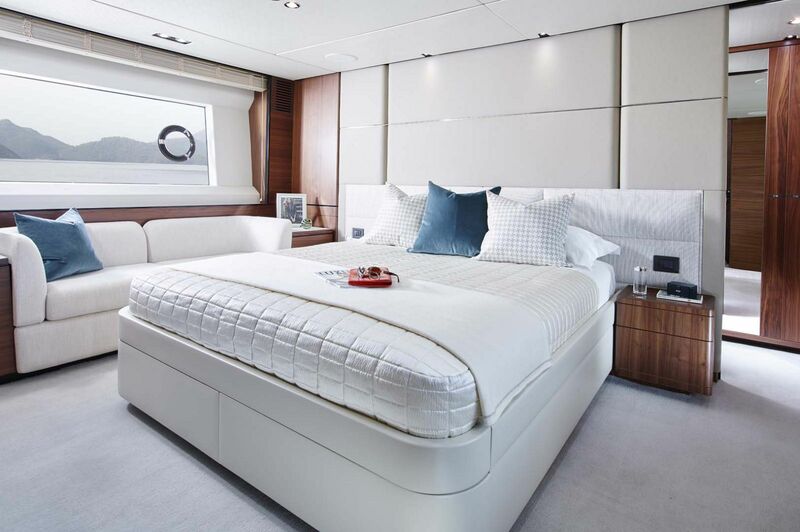 The master suite spans the entire beam of the boat and boasts a centerline king-size berth along with a small sofa and chair and deck on either side. 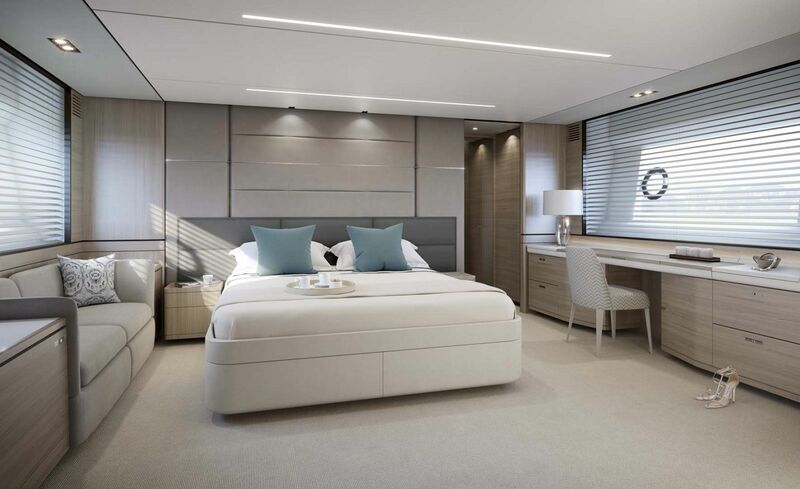 Even with two nightstands and lots of cabinet storage, there is still plenty of room to walk around the master suite. 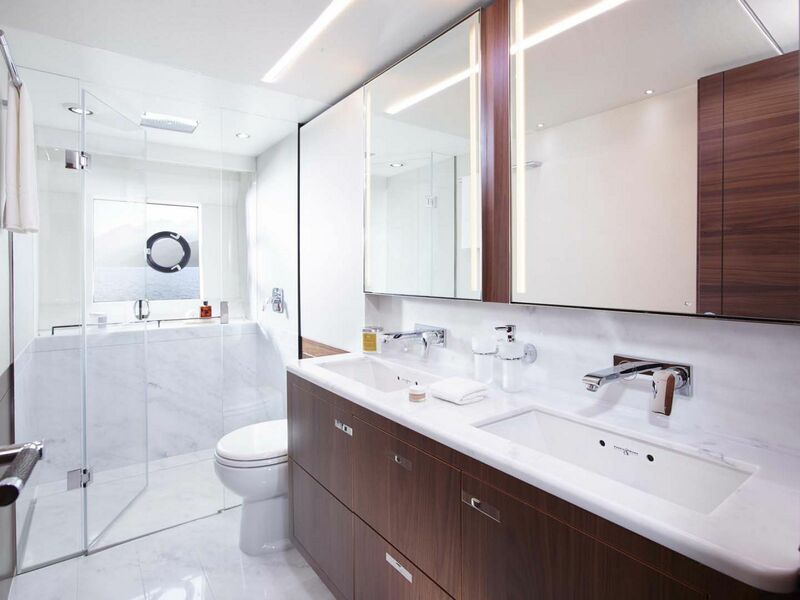 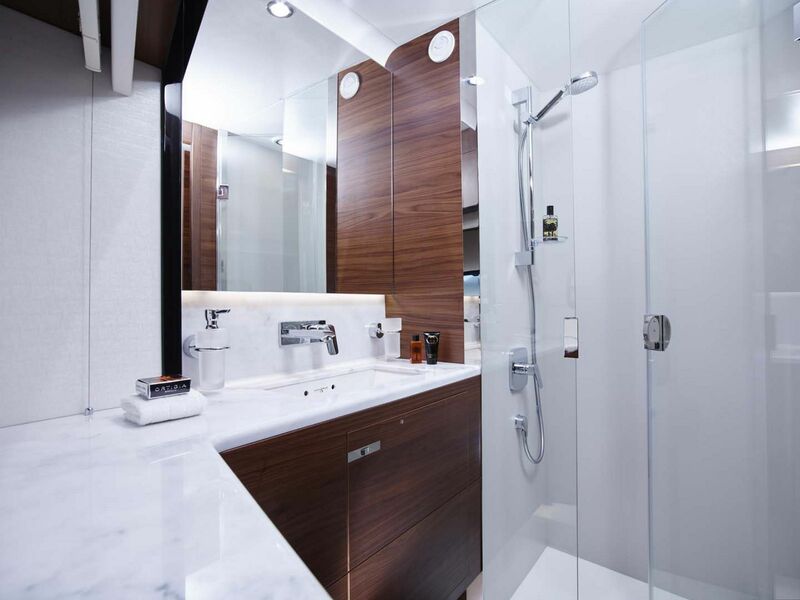 The private master bathroom includes his-and-hers sinks and a beautiful walk-on shower with window to enjoy the view. 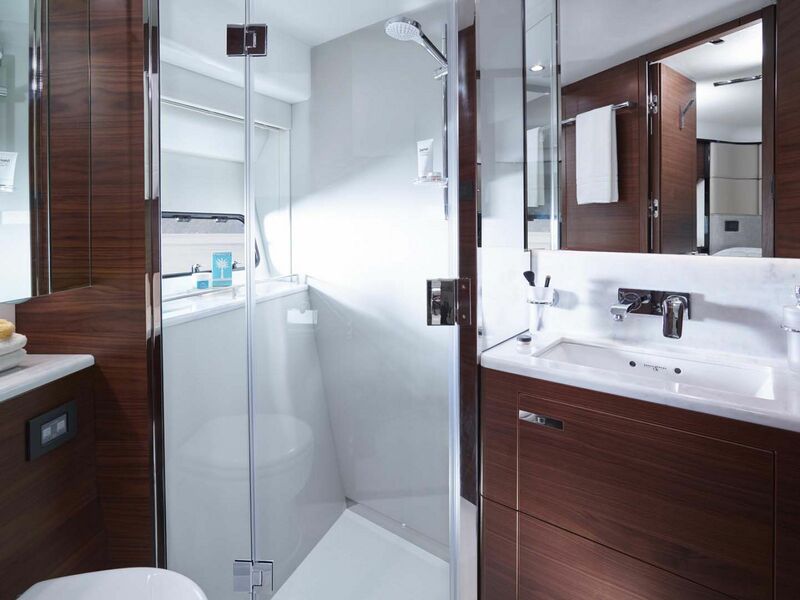 Three additional staterooms and en suite with their own private heads and additional storage for extended trips, no one will ever want to leave the boat. 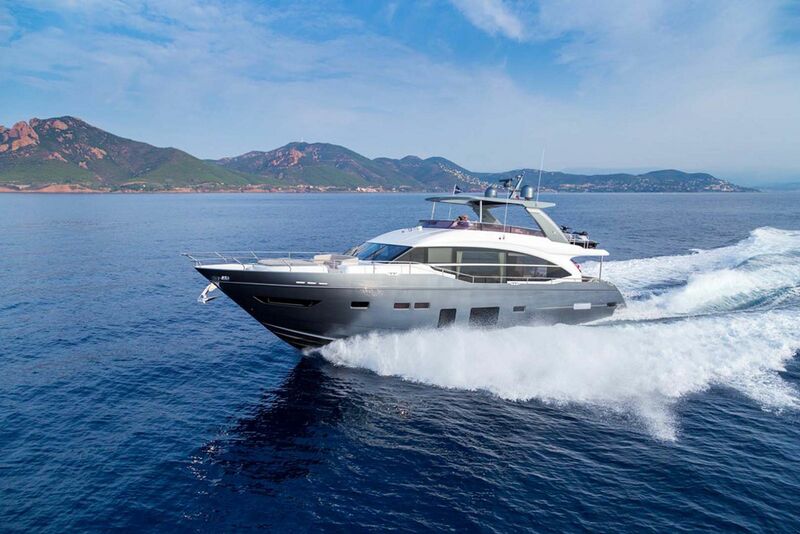 The power package chosen for the 75MY is not only efficient, it is also very speedy. 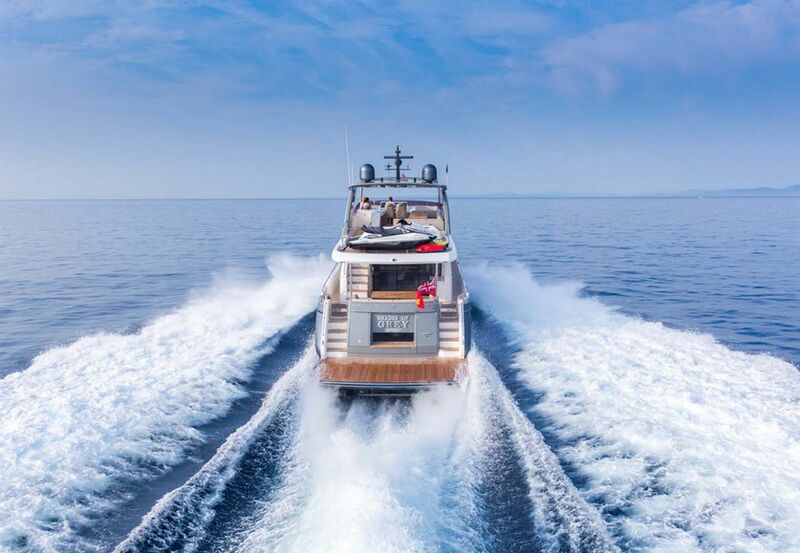 The base package is twin Caterpillar C-32 ACERT 1,622hp engines, but owners can choose to upgrade to the MAN V12 1,800hp diesels. 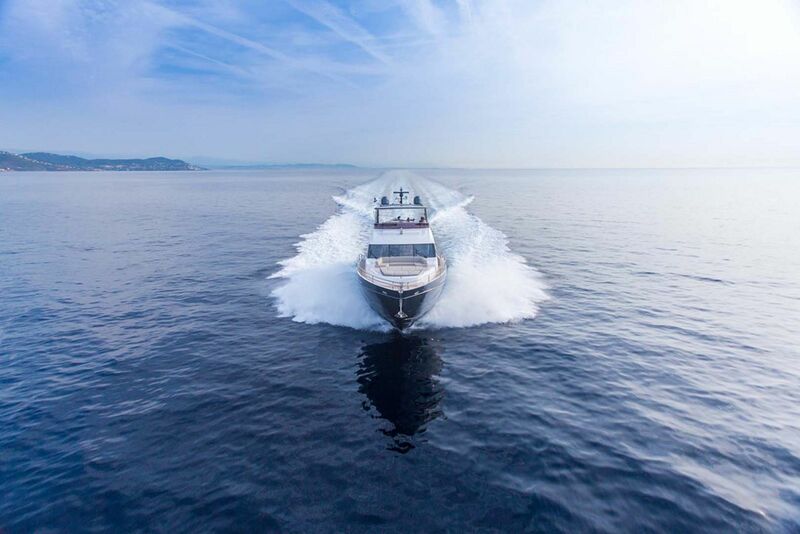 With the MAN engine options, the 75MY can reach speeds up to 36 knots with cruising speeds at 2000 RPM’s at 29 knots. 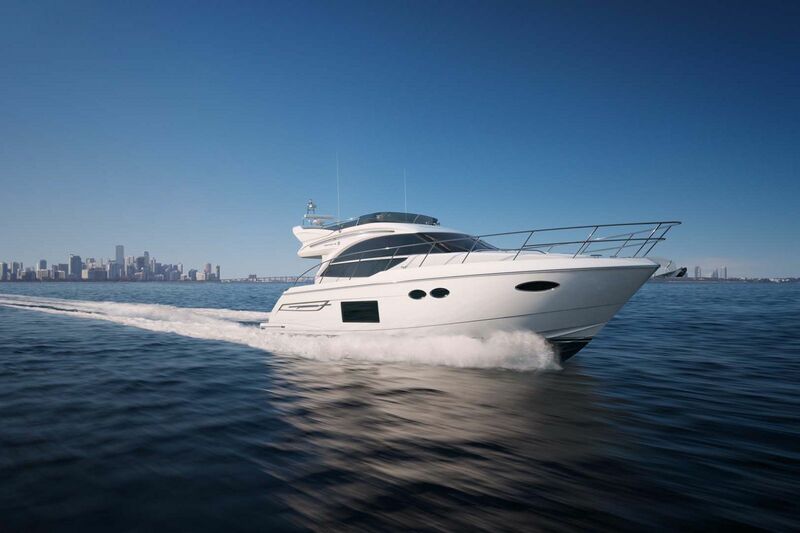 The range improves to almost 3,000 nautical miles when cruising at an efficient 7 to 8 knot range. 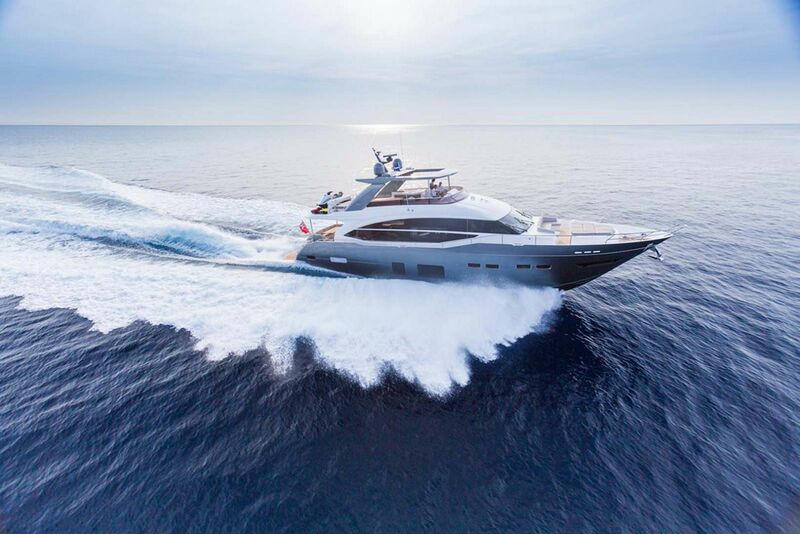 For more information on the new Princess Yachts 75 Motor Yacht, please contact your Staten Island Sales Professional today. A waterfront penthouse? 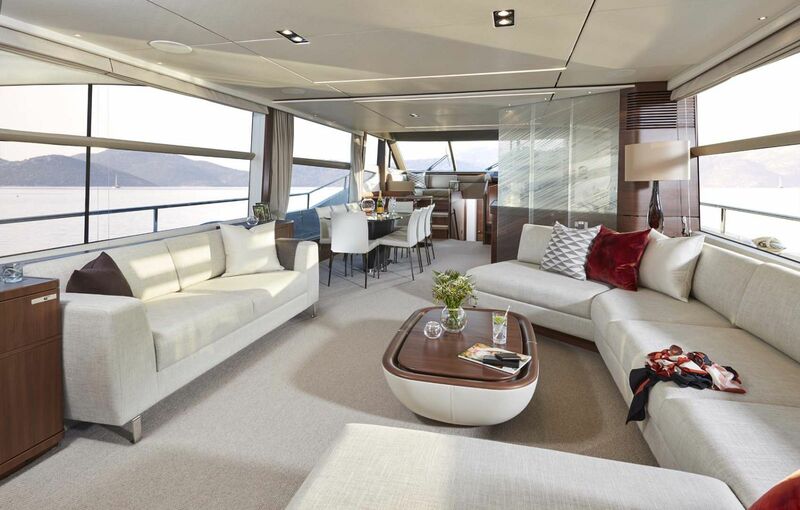 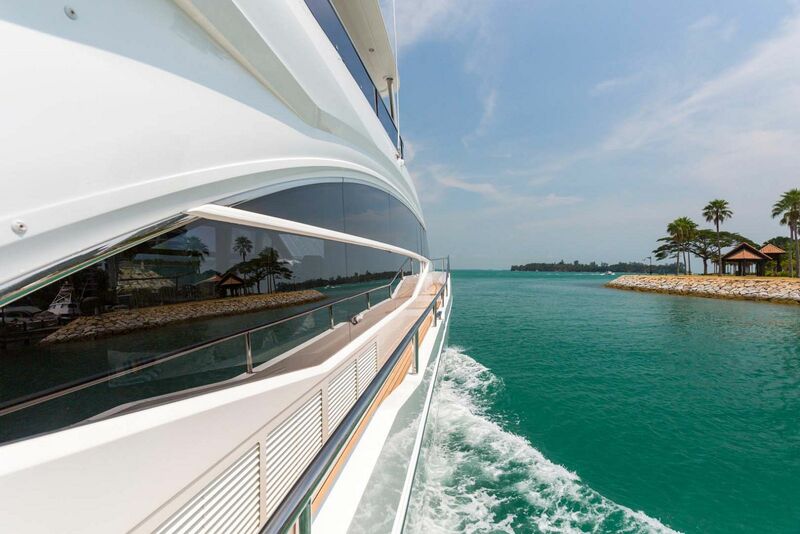 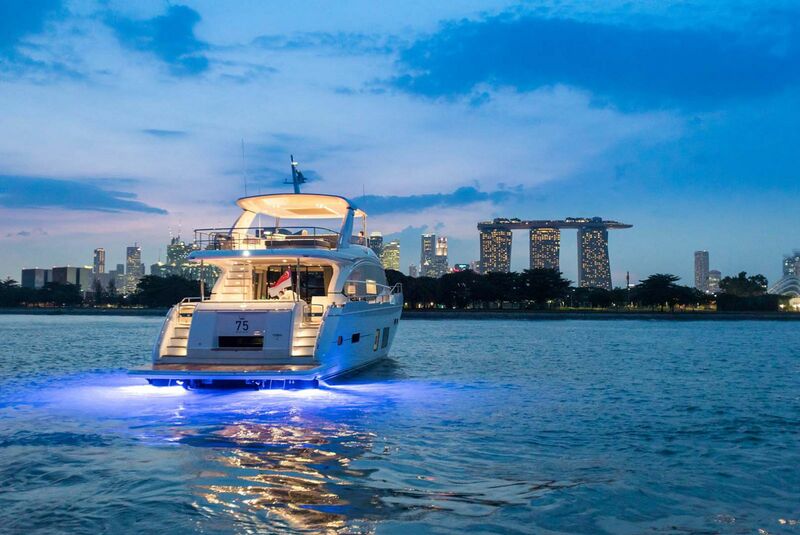 No, the Princess 75 Motor Yacht is more like a luxurious floating loft, with veritable walls of windows. 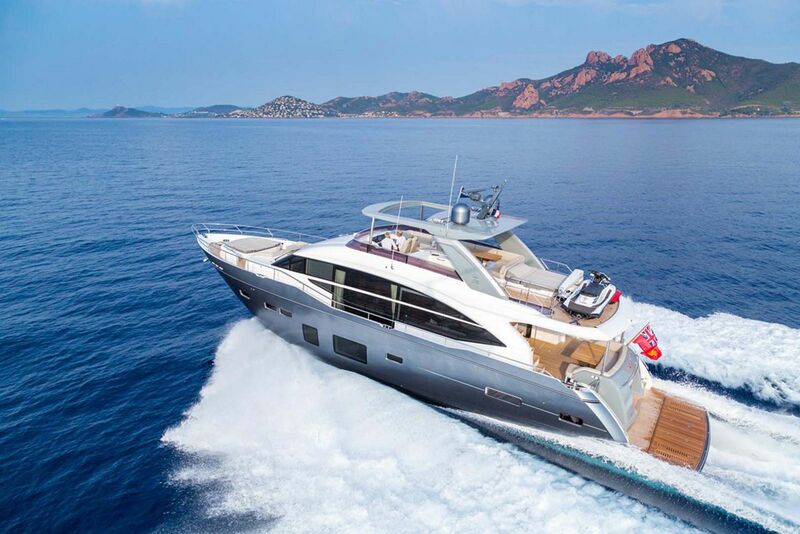 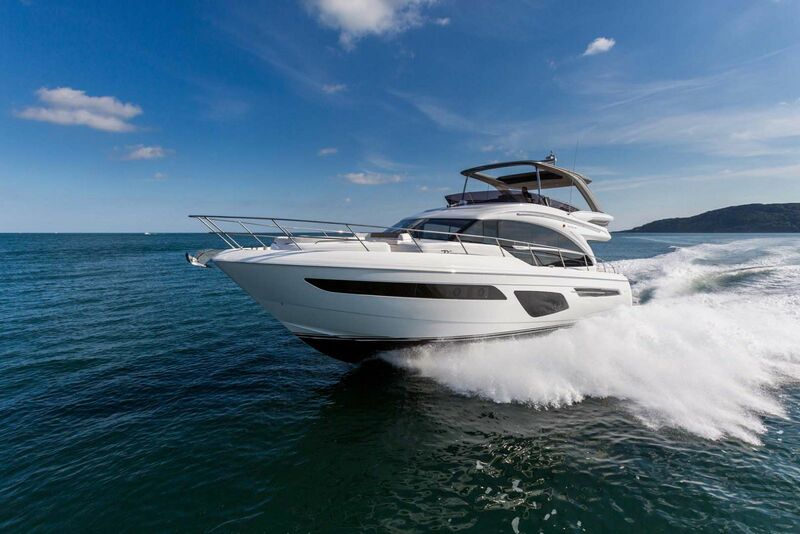 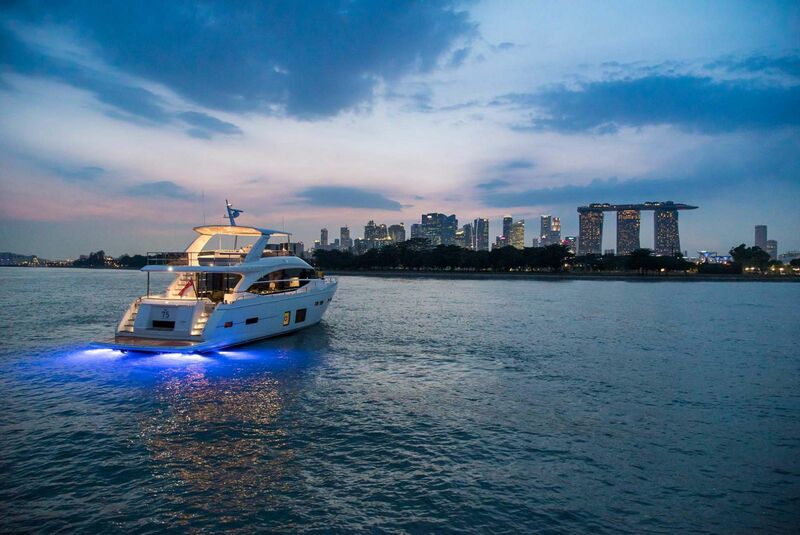 Boats.com reviews the new Princess 75 Flybridge Motor Yacht in this video. 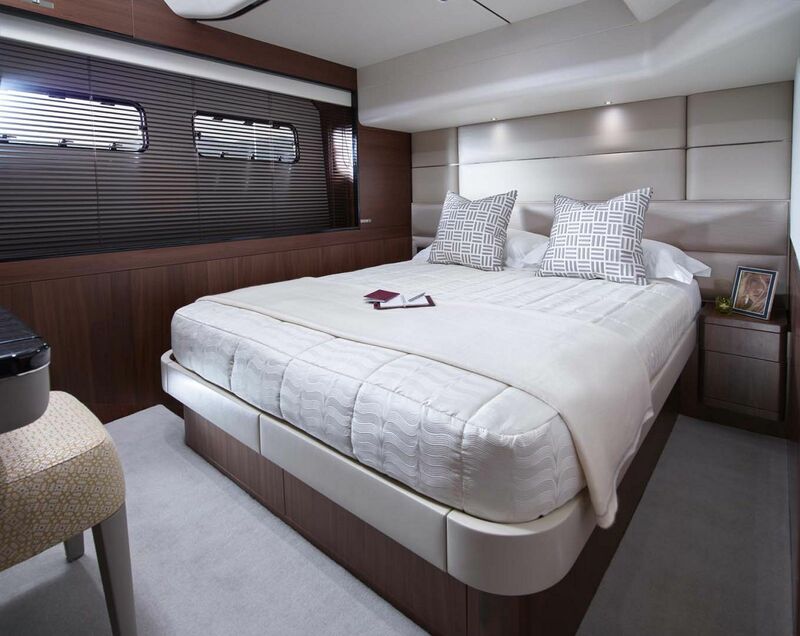 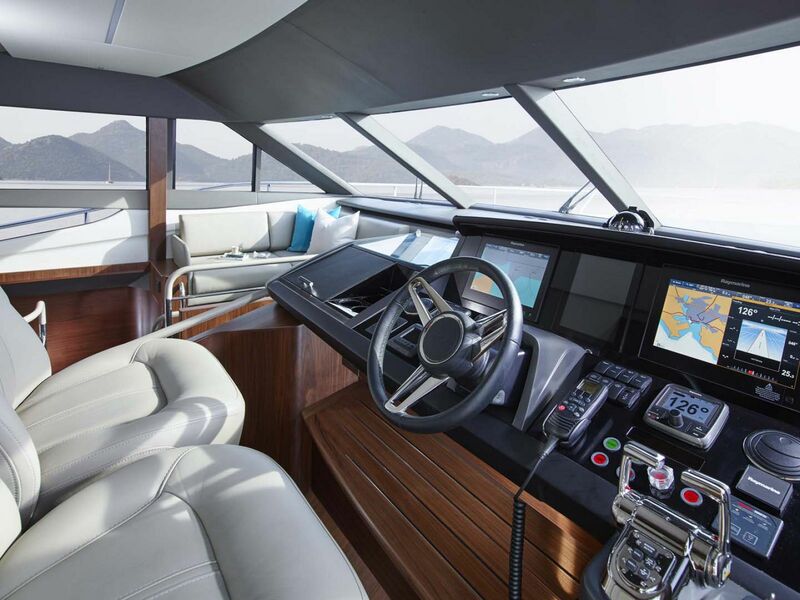 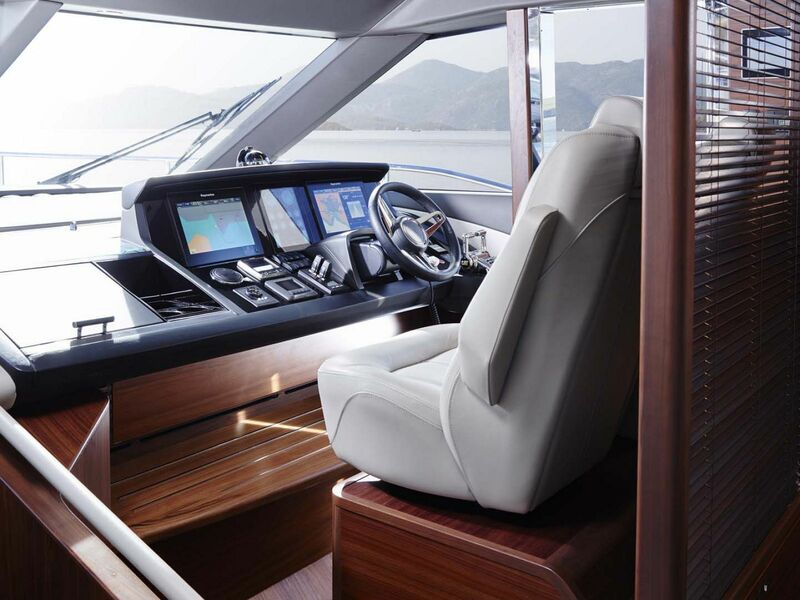 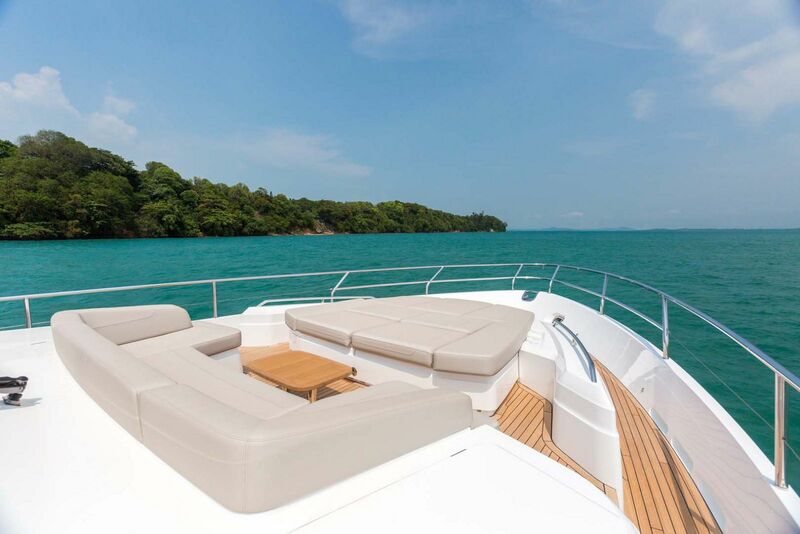 Princess Yachts created this virtual tour of the new 75 Flybridge Motor Yacht. 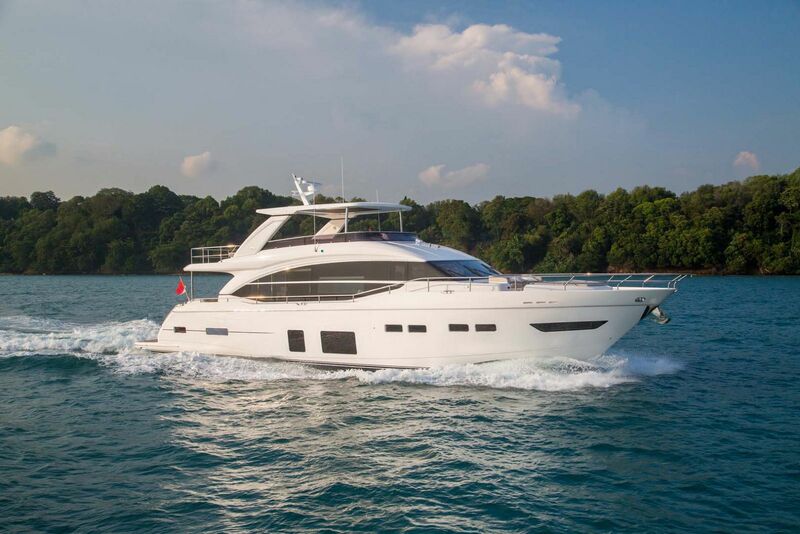 The official trailer video for the Princess 75 Flybridge Motor Yacht has been released.